There are many factors to consider when looking at RV toilets. We will start by looking at the basics which we will call styling. You will usually notice that RV toilets have two main color choices. You can select the one that fits you RV décor the best. Most toilets have the option of white or parchment. These are not the only choices though. There are a number of toilets that are also available in “bone”. Even though bone and parchment are close, there are subtle differences. Parchment is a cool, slightly off white; while bone is a warmer, cream shade. A few RV toilets are also available in black. Black is rarely used and because of that is often a more expensive option. The next available option for your RV toilet will be its build material. You can determine what is best for you by looking at any pros or cons based on your own preferences. In an RV toilet you have the option for plastic or china. China is going to be much like your home toilet that you are already accustom to. Plastic is usually the more cost effective option of the two but does not significantly reduce durability. The most important thing to remember about the plastic design toilet is that acids or highly concentrated cleaners can damage surfaces of plastic parts. Also try and stay away from scouring powders and abrasive brushes as plastic can be scratched. 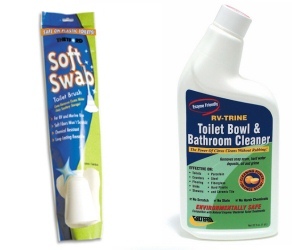 A soft bristle brush, such as the “Thetford Soft Swab Toilet Brush,” and surface tested cleaners (Valterra RV-Trine) are always recommended to ensure your toilet stays like new! These are not the only products available for cleaning, but do please be careful when choosing your lavatory cleaning products as some can have damaging effects. After material, your next choice becomes the toilets profile. This is a combination of a space/comfort feature that will vary depending on the room that is available in the RV and the end users preferences. When talking about the profile of a toilet, what we are referring to is the seat height. Your options here are high profile and low profile. If you take the measurement form the floor to the seat (not lid), a high profile will stand at 17-1/2” and a low profile will stand at 12-15/16”. This is the seat surface that you sit on; you can measure this out to get an idea of your personal comfort levels. Your next option is whether you would like the toilet to be a hand or foot flush operation. Most toilets you see are going to be the foot-flush operation type; however hand flush toilets are available in certain models. Just a speculation, but I believe foot flush is more prevalent as it is more sanitary, nothing to touch, therefore less area in the lavatory for germs to collect and spread. Your last choice I would classify more as a feature. This is the included feature of the water saver package. Most models are available with or without the water saver feature. A typical water saver package will include a hand spray kit. 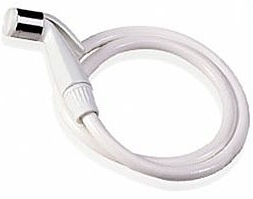 This is a hand operated spray gun that attached to the existing water valve and is used to rinse the bowl clean instead of using a full flushes amount of water. This can significantly reduce your water usage and therefore extend your dry (or any) camping experience where hook up is not available 24/7 and conservation is the key. Now that we have covered all aspects of the toilet, let’s discuss accessories and products that work hand in hand with your toilet. 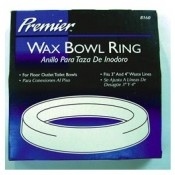 When replacing or removing your toilet for repairs, always use a new wax bowl ring during re-installation. This is the seal the goes on the outlet at the bottom of your toilet as it connects to your waste line. 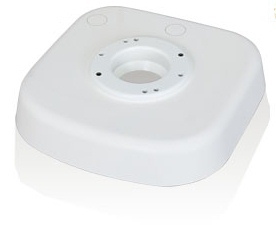 Using a new seal not only insures a leak free connection, but it also prevents odors and potentially harmful gasses from escaping out of the waste connections and entering the RV lavatory and possibly living areas. When installing a new toilet you also have the option of using a toilet riser. The riser will sit in between the toilet and the waste connection. The riser will attach to the base of the toilet just like the floor would in a normal installation; the bottom of the riser will then be attached to your waste pipe. The use of a riser is a simply way to add to the seat height of most toilets. Due to there base bolt pattern, some toilets are not compatible with the use of a riser so watch carefully when choosing your new toilet if you plan on using this. The standard Thetford riser will raise the seat height of the toilet by 2-1/2”. This will give you the end result floor to seat height on a high profile the total of 20” and subsequently give a low profile toilet the seat height of 15-7/16”. Papers and liners, what is the big deal you may be asking yourself?? 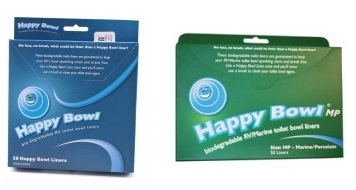 The Happy Bowl Liner is a great way to reduce the effort put into the cleaning of your lavatory. The happy bowl liner is a bio-degradable toilet liner that is placed in the bowl of the toilet to reduce unsanitary mess and also help conserve water. The liner is placed in the toilet bowl before the toilet is used. The resulting waste is now flushed away in one flush. This not only leaves the bowl spotless clean, but also conserves water as we all know more than one flush is sometimes necessary to remove streaking etc. from the bowl. Once used these liners dissolve quickly and are therefore harmless to your tanks, valves, and waste pumping system. Continue to follow as we dive deeper into the RV sewage system. In the next bulletin we will be taking a look at black water tanks, holding tank accessories, and tank fittings.